PPC-R22.1N-T-V1-V2-NN-FW by Rexroth, Indramat, Bosch in the PPC Series. The PPC-R unit is a powerful controller in a small size in IP 20 rating. 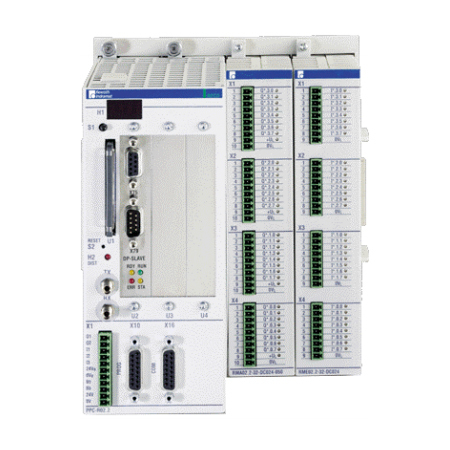 It is a general-purpose platform that works as a PLC or as an NC controller, depending on the application. This PPC-R22.1N-T-V1-V2-NN-FW offers a Housing Version for RECO unit, and a Configuration of DeviceNet Master Module / Factory Assigned / Not Equipped.